Summer travels # take 2. 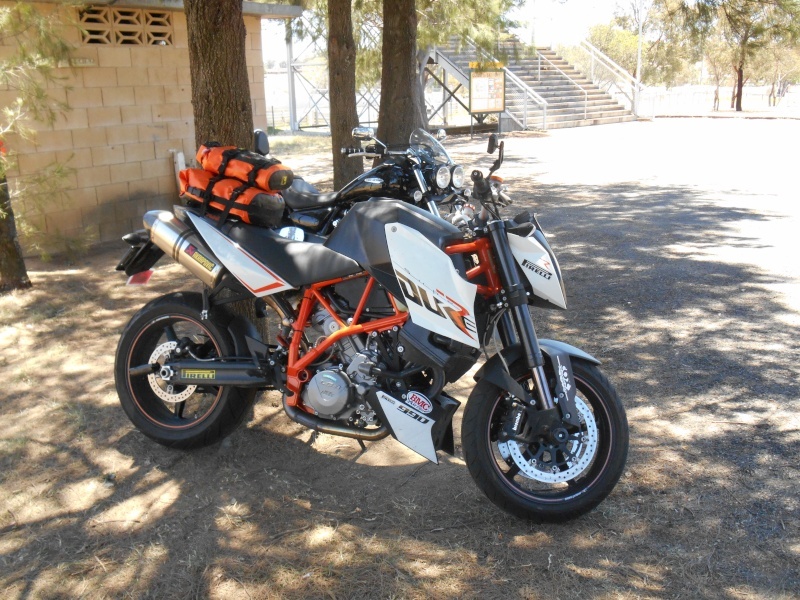 K100-forum.com » General discussion » Australian and New Zealand rides and meetings » Summer travels # take 2. “Yes, ok. Just give me the ticket” I knew my face was contorting into a kind of naughty schoolboy smirk, but I just couldn’t help it. “ Oh! I’m giving you a ticket am I?? I’LL be the one who decides what’s going on here! “ He brandished his ticket book and glared at me dangerously. “ Listen PAL…..don’t argue with me….” He began to fiddle with his name badge absently. “ Carried away??!! Listen, would you park your CAR up here in the park like that?’ He began to look menacing again. “ Mate…if you couldn’t get your car up here, you wouldn’t deserve to have a licence!” At this point I began to realise he was relishing our pleasantries. “ Don’t be angry Sergeant.” I tried a more conciliatory approach. “ No no, sergeant. Please just give me the ticket.” I could feel my lip beginning to curl again, awkwardly. “ Oh! We’re back THERE again are we?! “ He began to caress his holster. “ Do you want the ticket or the lecture?” Now HE was smirking. It had all began innocently enough. A little over a week before this, Kerry and Seamus had left in the car and driven down to the central coast, where Bella and I would pick them up the following day on the bike. My brother Tim and his son Sean arrived in Guyra the evening before and we set off down through Walcha and Thunderbolt’s Way. 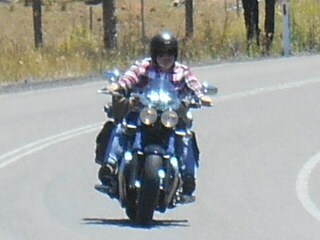 January in Australia is the height of summer and already the day was warm with a dry wind blowing from the north west. A quick coffee at the Café Royal in Walcha with Brad and Toni and then on down the hill to Gloucester. Thunderbolt’s Way is definitely being upgraded but it’s still a goat track, now interspersed with occasional bits of smooth tar. 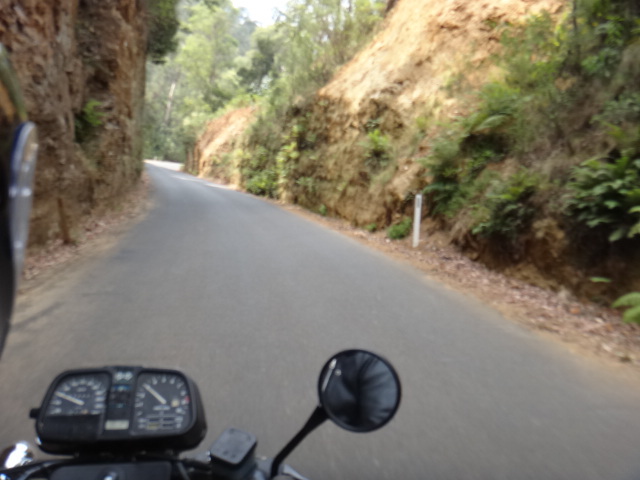 From Nowendoc down, the road twists and turns and descends rapidly in places, with 25kmh hairpins. The bikes: Tim’s 2011 Triumph Thunderbird Storm, a 1700cc parallel twin. Sean’s KTM 990 in road going form. 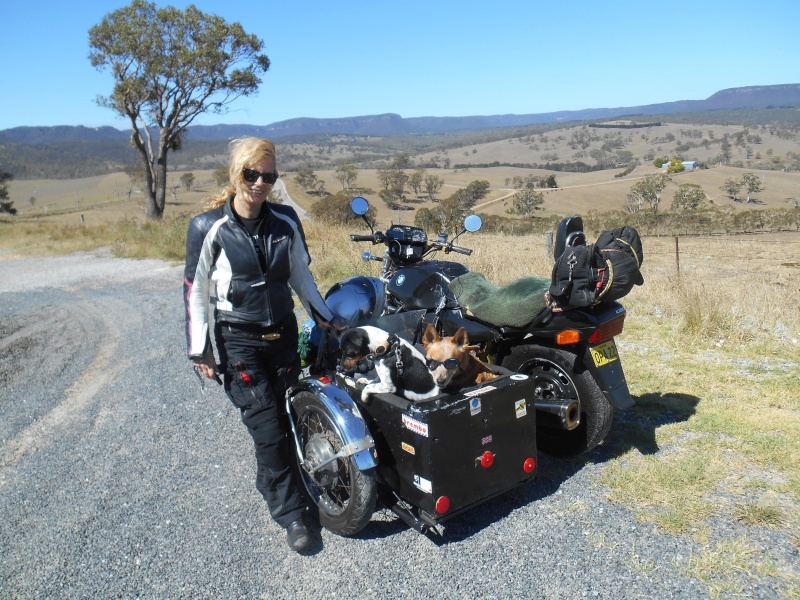 Oh and my trusty old BMW K100 RT with sidecar and Bella the red dog. An overnight stay at Terrigal with Kerry’s mum and the next day we set off again, heading south. Tim and Sean had stayed overnight in a farmhouse near Singleton and were busy doing the Putty rd. We arranged to meet them at Oberon. 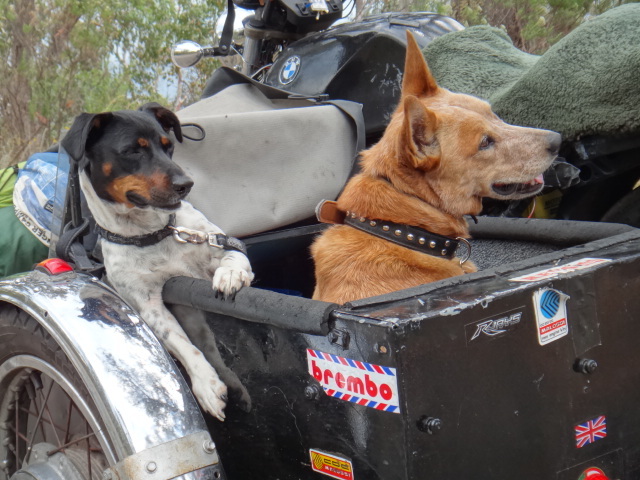 Lovely ride from Mt Victoria over to Oberon in the afternoon, with minimal traffic and maximum sweepers, the old Beemer pulling like a train despite carrying two people, two dogs, camping gear and clothes etc. This has been a truly good motorcycle over a long period and once again she didn’t miss a beat all trip over 2,500km. One small incident near Taralga on the way back when low beam decided to have a bit of a lie down. This was merely a connector in the headlight shell and we soon fixed it and were on our way again. Oberon is a peaceful place, interrupted only by the sound of snorting truckies and the constant noise of the fertilizer plant which runs 24-7 and is naturally right next to the caravan park camping area. After a few tonsorial varnishes at the Royal hotel, I decided to pretend that the roaring noise I could hear all over town was the ocean and this would lull me to sleep. This worked very well until about 4am when it decided to let off steam and the roar became a crescendo. We were so impressed we decided to stay another night. 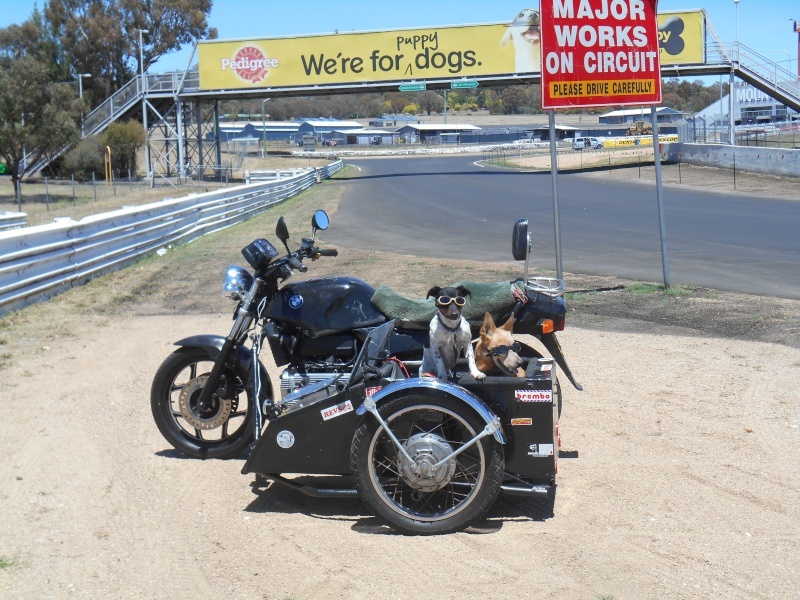 Next day dawned bright and hot, the cicadas adding to the cacophony and we rode over to Bathurst to visit a friend of Kerry’s and to have a look at Mt Panorama. 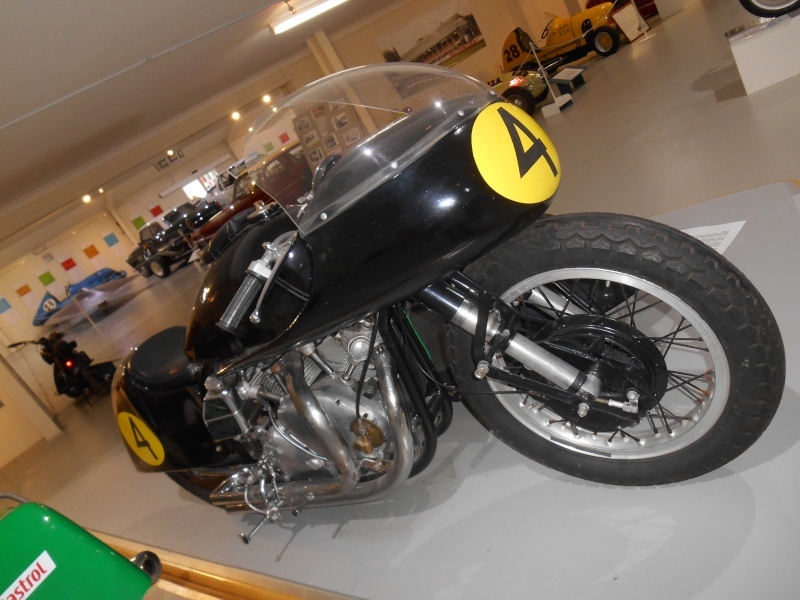 There is an interesting museum at the Mt Panorama circuit and it’s well worth a look if you’re interested in cars………but there are a few bikes on display as well and I picked up some ideas for the outfit. Back at Oberon we drank beer again and watched cricket. England lost. By 4am the utterances from the plant had taken on a sinister note and I began to expect Chuck Heston to come striding through the camp yelling out that Soylent Green was made from human corpses. It was time to move on. Oberon to Taralga and then Goulburn. Another hot day and it was clear that it was going to get seriously hot as the day wore on. 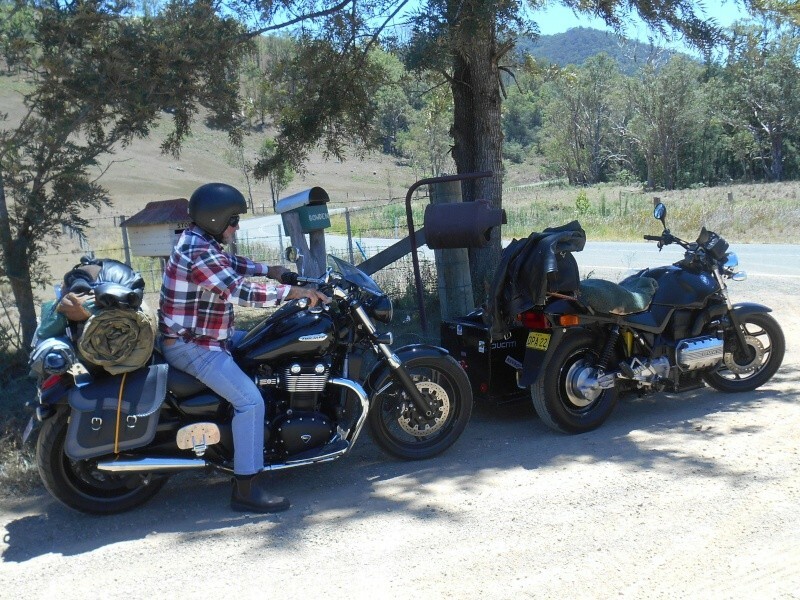 We headed south from Oberon through Black Springs and Taralga, stopping for petrol at the local CRT shed in Taralga before reaching Goulburn. 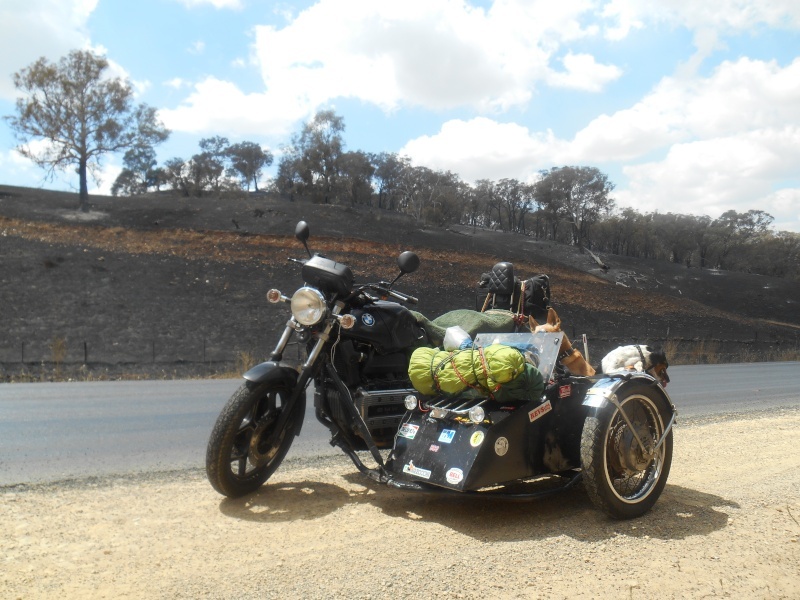 We found a shady spot and gave the dogs more water and then headed on towards Yass and Gundagai. 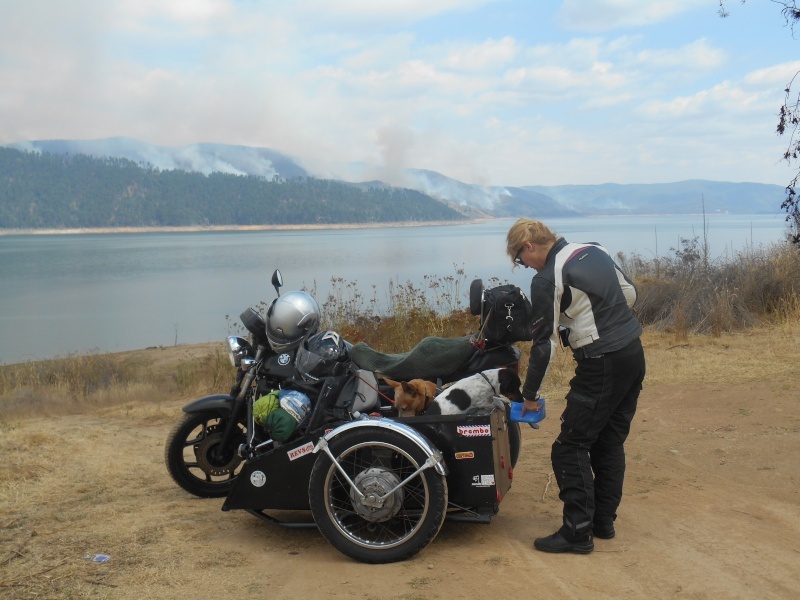 By this time we were on that concrete monstrosity of a road called the Hume and battling the dry wind and heat at 120kmh, grateful that the fairing was no longer there to trap even more heat against my legs and other places. The construction of these roads with their wide lines set against the slopes and planes in the summer heat somehow serves to make things worse. Whether it’s the truth or merely a result of the monotony remains unclear to me. By this time Tim and Sean had disappeared into the distance and I was beginning to worry about the dogs. The temperature was into the 40’s and so we began to stop frequently to rehydrate both ourselves and the canine companions and even wet the dogs down. 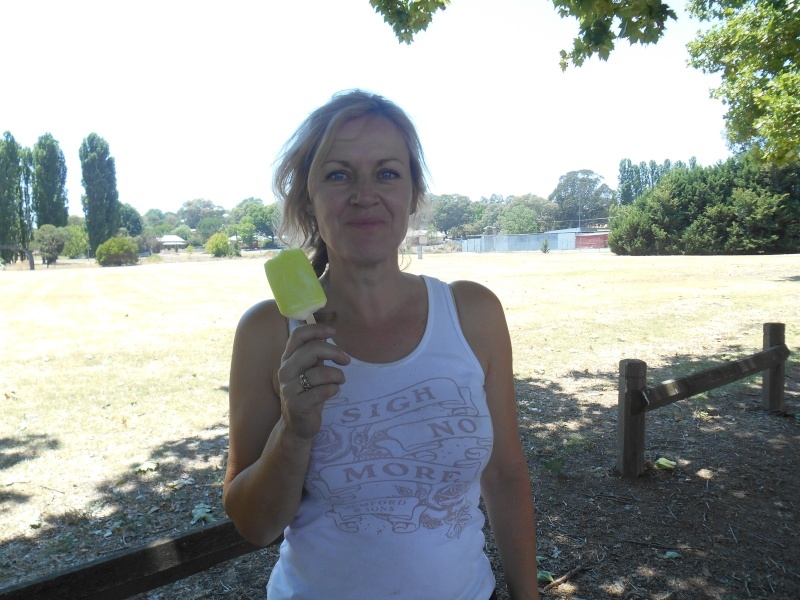 At Yass it was 41C, Jugiong 42 and by the time we reached Gundagai where we found time and Sean in a pub drinking cold beer it was 43. 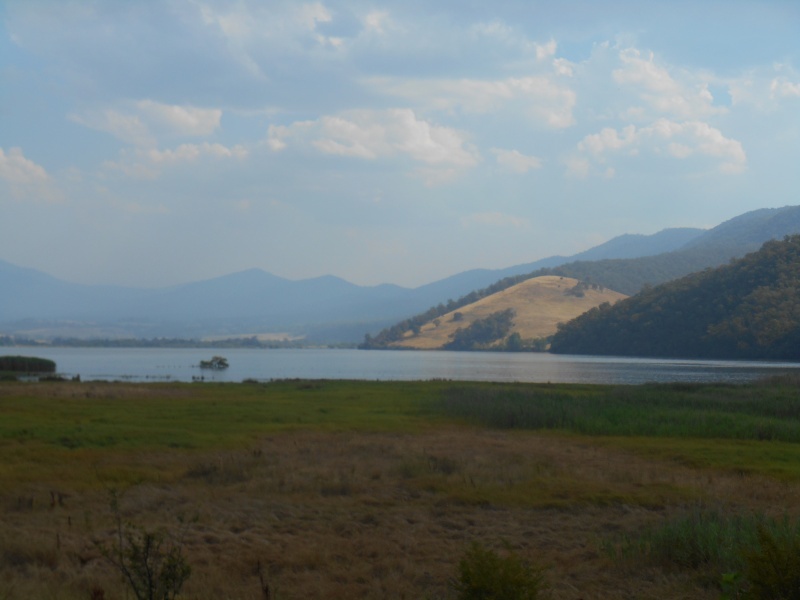 The road through Tumut and Talbingo and the snowy had been closed due to the tar melting in the heat and also bushfires which had sprung up. 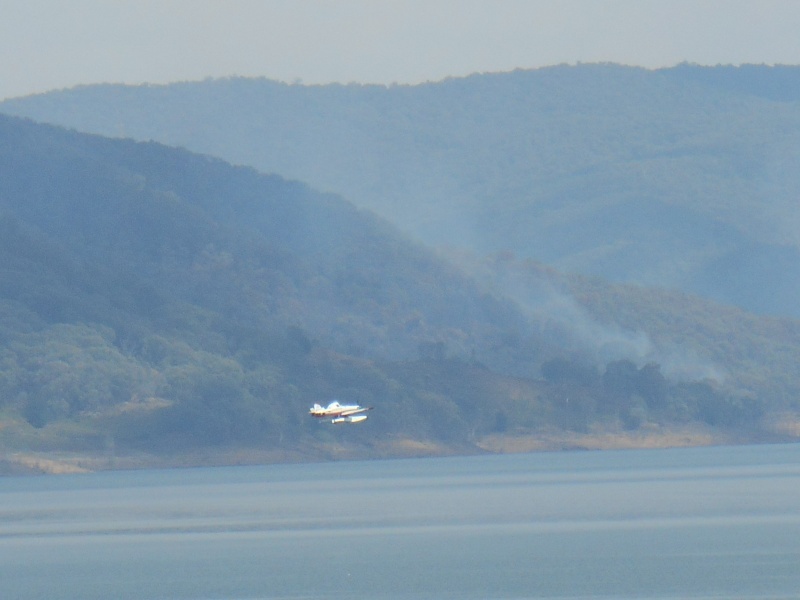 It was surprising that this was the first lot of fires we’d encountered so far. 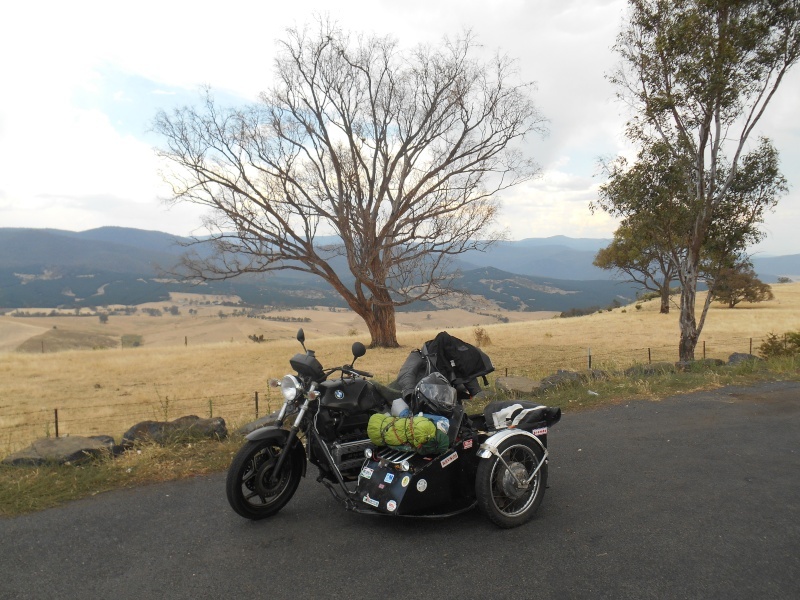 We took a shortcut through some country lanes through Adelong and Tumbarumba and finally arrived in Khancoban in the late afternoon after riding through an all too brief storm and shower after Tumba. We were grateful to find a billet for the night at the caravan park and settle in for a day or two there. We drank some beer and watched some cricket. England lost. It was time to head into the mountains for a brief respite from the heat. 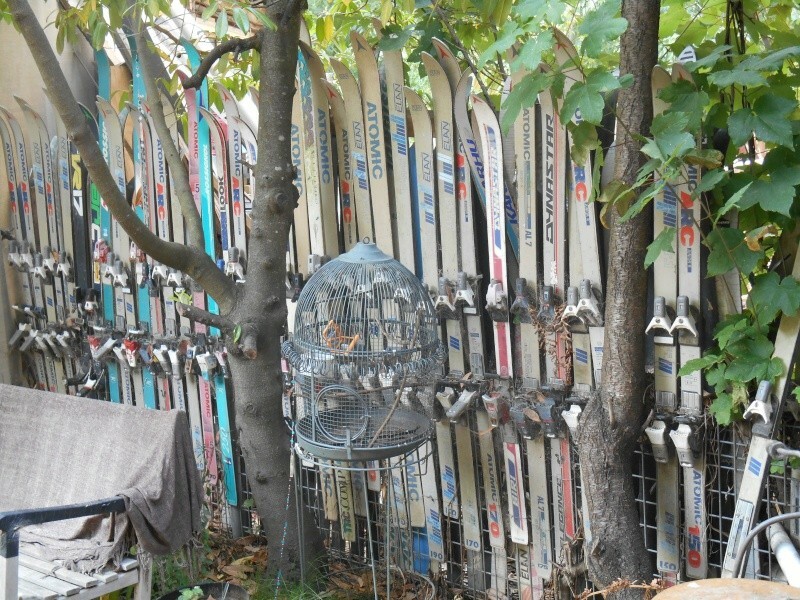 That’s one way to build a fence. Time for some day rides. 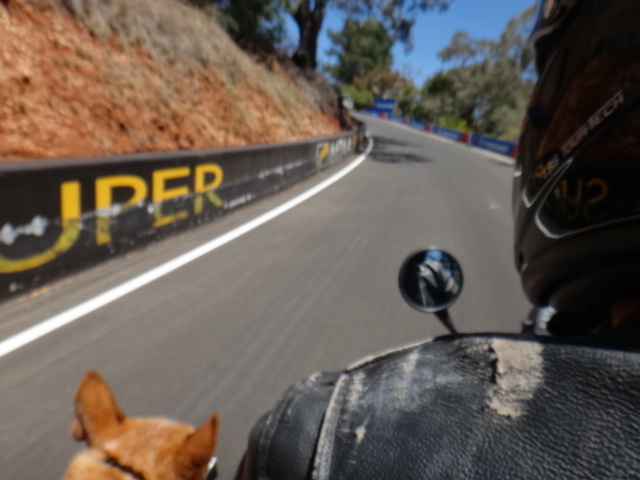 Khancoban over to Jindabyne via Thredbo and the top of Australia; mile after mile of twisties and cooler air before along the spine the road opens out into long sweeping bends perfect to set up on a sidecar. There is a schnaps distillery on this road and it’s probably worth a visit. The sour apple one is very nice. A policeman also sits outside there in a yellow Holden, so discretion is advised. A word of warning for those travelling through these roads: there is a plethora of grey nomads now towing caravans or driving 4wds along these roads…using ALL the roads…and there are also far too many ‘go-pro’ wielding motorcyclists getting out of shape and using ALL the road as well…..idioten. Still, all good things come to an end and it was time to head home again, this time through Cabramurra and Tumut, where we found very good coffee and pastries and bushfires again. Another night in Oberon and a drizzly ride along the Bell Line and that brings us back to the little park across from the Taylor’s Arms Hotel in Windsor. A crowd had gathered across the road and its members were beginning to show signs of unrest and far too much sympathy towards the dogs as they sat there looking cute in the sidecar under the menacing gaze of the constable. I could hear rmutterings and some soft boos. The cop looked around with a jaundiced eye. I did so. With alacrity. I enjoyed the ride report & pics, it seems the cop didn't know what to do with you in the end, maybe he just felt sorry for Bella and let you off. It seems Bella works well as a chick magnet and a cop repellent. Must have been a few you had young fella...that was the Macquarie Arms the oldest pub in Australia....and pretty sure Taylors Arms is at Macksville or thereabouts...pub with no beer no less. Yeah second that Klompy, Taylors arms near Macksville. Great report Sean lotsa fun had and passed on to Us. paw over the car edge is classic. 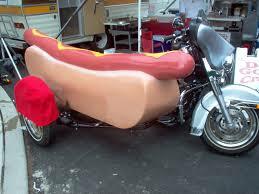 the weather has been a real shocker for touring , but good to see Sean , Kerry and the gang out and about. you all seem to be doing quite well on the refurbished K, top stuff. Great....hours slaving over a hot keyboard and what do I get??? A bunch of pedantic pub 'trainspotters'. is that outfit a manx , there was a guy in Cessnock who I bought the Tilbrook from , from what I remember, he raced Manx sidecars at Heddon Greta many years back. what other mods are you thinking for the Darth machine? 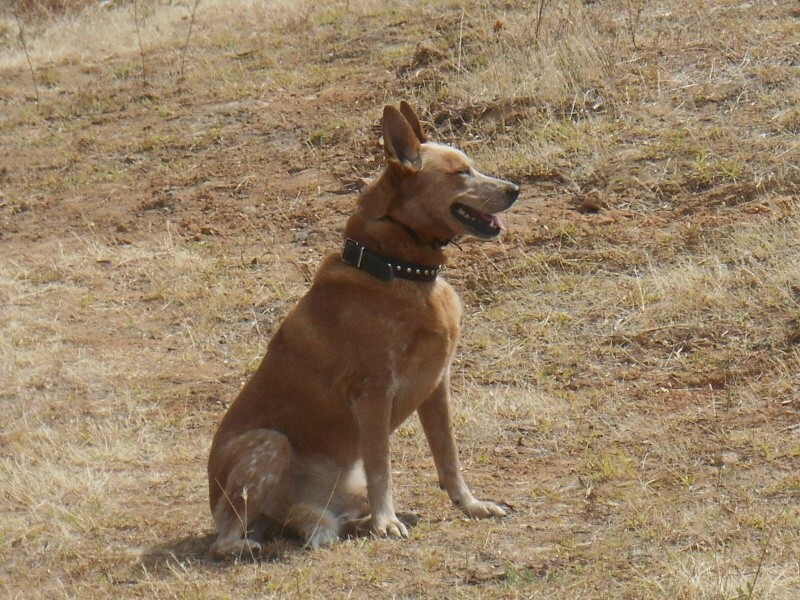 Malcoops, I do Thunderbolt's all the time, living in Guyra with friends in newcastle, Sydney and the central coast. Going down the hill is not exactly sidecar paradise, but going back up is always good....powerslides in the hairpins etc. so I tried Manx. thanks for the correction . still learning. A lovely post and great to read about some of these nice rides. We have our winter here so we too have 42 degrees but they are those old Fahrenheit thingies and not much good. 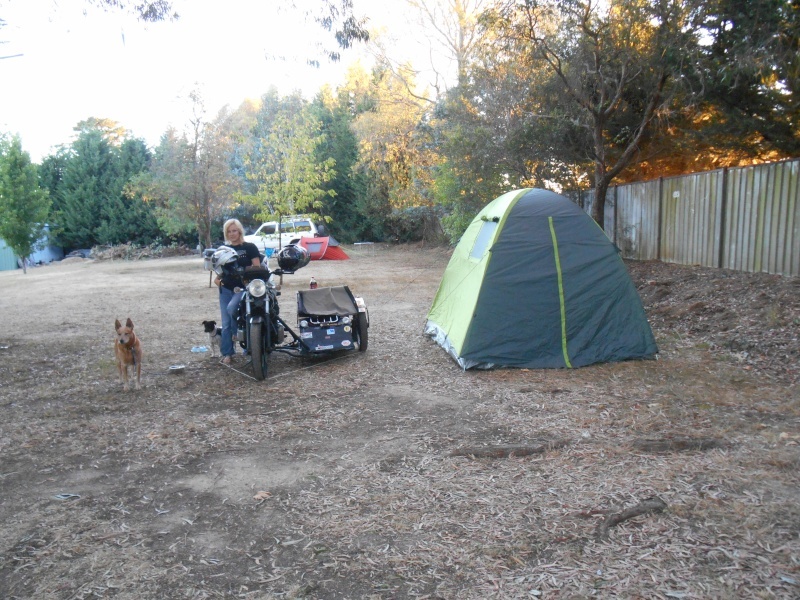 But the rides, the sun, blue sky, able to use a naked bike, camping, just perfect. Its hard too to find company that enjoys those things so you are so lucky there. @Saxon7 wrote: Great....hours slaving over a hot keyboard and what do I get??? A bunch of pedantic pub 'trainspotters'. Seriously though a top report but did I miss heaps of pics with all those blank squares? Actually it's a bit of both, a NORVIN. 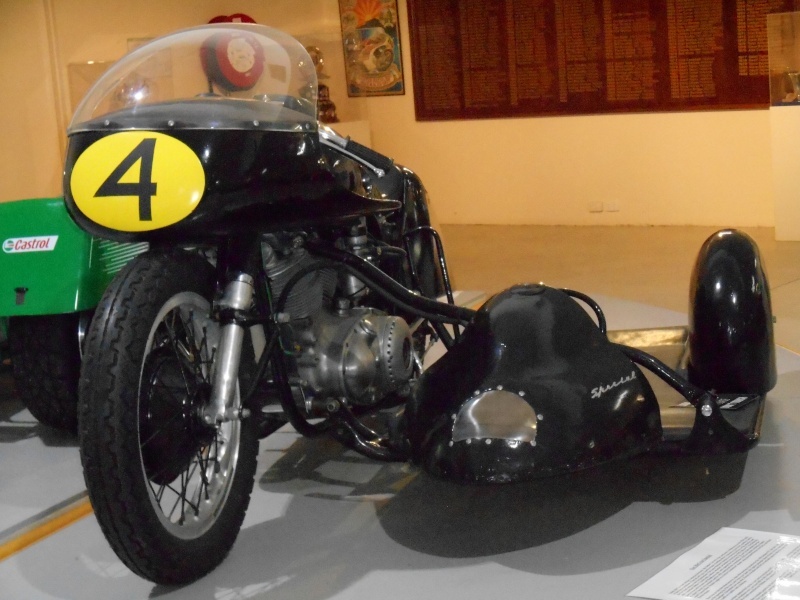 Vincent engine and Norton frame. Front brake is Manx, probably the frame as well, but not enough detail to be certain.